Scientists Create Genetically Modified Mosquitoes, But It Will Be a Fight to Release Them in U.S.
A laboratory in the United Kingdom has created genetically modified mosquitoes to combat illnesses like malaria and dengue fever, but scientists there face criticism from all sides. Though a few mosquito species are harmless or even useful to humanity, others are commonly seen as a nuisance due to their need to feed on vertebrates’ blood to nourish their eggs. Only female mosquitoes bite. Through their feeding, mosquitoes can – and do – transmit deadly diseases, such as malaria and dengue fever, which affect 200 million and 100 million people worldwide annually, respecitvely. Some researchers have assigned onto mosquitoes the label of being the deadliest animal in the world. Currently, there are two main weapons in the fight against mosquitoes: education and pesticides. Both have had limited success against the pest: education is only as useful as people are willing to be diligent, and pesticides only affect mosquitoes if they hit them directly. Oxford Insect Technologies – or Oxitec, as it is more commonly called – has created what they believe will help in the fight against mosquitoes. 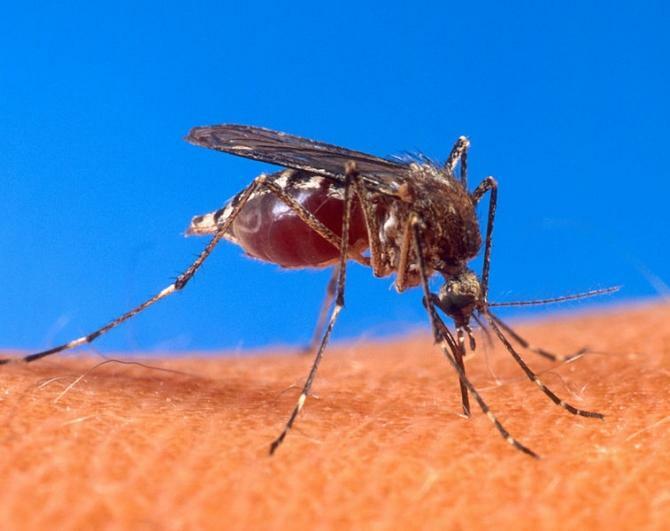 They have genetically modified the Aedes agypti mosquito, which is responsible for carrying and transmitting dengue fever - a disease which has seen a 30-fold increase in incidences over the past 50 years, and exists in 110 countries. They engineered the male mosquito to need tetracycline, which they are fed in laboratories before they are released into the wild, where they mate with female mosquitoes and create offspring that are dependent on tetracycline. Because the substance is not found naturally in the wild, the offspring dies within a few days. The technology is being embraced in countries strangled by dengue fever, such as Brazil, India, and Malaysia, where the public health concern is greater. In Brazil, the release of Oxitec’s mosquitoes reduced the number of dengue-carrying mosquitoes by an overwhelming 85 percent. But in the United States and Oxitec’s native United Kingdom, the laboratory faces criticism from all sides. Some say that the 40-person company (35 of whom are scientists) are rushing the technology to market in order to assuage investors, and have accused the company of intransparency. Others suggest that tetracycline, an antibiotic that is found in livestock, can be obtained by mosquitoes if they bite these livestock. Critics also worry that the genetically modified mosquitoes will simply not die, though Oxitec’s trial in the Cayman Islands did not find a single such mosquito alive. Oxitec also says that if the mosquitoes did survive, they would live shorter lives and be more susceptible to pesticides than their counterparts. The Florida Keys saw an outbreak of dengue fever in 2009, the first since the 1934, which ravaged the islands for 15 months. Oxitec was due to release its mosquitoes in January, but the trial was delayed indefinitely. The organization Friends of the Earth was suspicious of the idea of releasing more mosquitoes to make fewer mosquitoes, and that the experiment would have environmental, health, and ethical concerns. With the dengue fever outbreak past, the public health concern no longer exists in residents' minds. Still, Oxitec is hopeful. After start-up costs, the use of the technology would cost less than $10 a year per person. They also are working on recreating their success with the Anopheles mosquito, which carries malaria. Researchers at Johns Hopkins University have genetically modified bacteria in mosquitoes' midgut to resist the malaria parasite. Their studies have been up to 98 percent effective, and if successful in the wild, would deal another deadly blow to the malaria virus. The virus kills 800,000 people a year, most of whom are children. Their research was published in the Proceedings of the National Academy of Sciences of the United States of America.